COLUMBUS — New teen drivers, ages 16-17, are three times as likely as adults to be involved in a deadly crash, according to new research from the AAA Foundation for Traffic Safety. This finding comes as the “100 Deadliest Days” begin, the period between Memorial Day and Labor Day when the average number of deadly teen driver crashes climbs 15 percent compared to the rest of the year. The number of teen drivers involved in fatal crashes increased more than 10 percent from 2014 to 2015, according to the National Highway Traffic Safety Administration (NHTSA). In 2016, approximately 8,300 injuries and fatalities occurred in Ohio teen driver crashes. This is a 15 percent increase from 2014 and equates to an average of 23 injuries or fatalities every day involving a teen driver. Distraction: Distraction plays a role in nearly six out of 10 teen crashes. The top distractions for teens include talking to other passengers in the vehicle and interacting with a smart phone. Not Buckling Up: In 2015, the latest data available, 60 percent of teen drivers killed in crashes were not wearing a safety belt. Buckling up significantly reduces the risk of dying or being severely injured in a crash. Speeding: Speeding is a factor in nearly 30 percent of fatal teen crashes. A recent AAA survey of driving instructors found that speeding is one of the top three mistakes teens make when learning to drive. A modern young driver licensing system is proven to reduce teen driver crashes, and save the lives of teens and other road users. Unfortunately, Ohio’s system hasn’t kept up with the latest research on teen driver crash prevention, which has contributed to the rising teen crash rates. Ensuring newly licensed teens are driving only with adult protection after 9 p.m.
A 12-month permit phase ensures new drivers have the chance to practice driving in all weather conditions with an adult to help keep them safe. Nighttime driving protections are especially vital during the “100 Deadliest Days” when teens often engage in aimless driving at night with friends. In Ohio, 75 percent of Ohio’s young driver nighttime crashes occur before the current midnight limit. TeenDriving.AAA.com has a variety of tools to help prepare parents and teens for the dangerous summer driving season, including the online AAA StartSmart program, which helps parents become effective in-car coaches and manage their teen’s overall driving privileges. Photo courtesy newsroom.aaa.com Parents can play a big role in making certain their teen drivers are safe by: Have conversations with their teens early and often about distraction and speeding; teaching by example and minimize risky behavior when driving; and by making a parent-teen driving agreement that sets family rules for teen drivers. 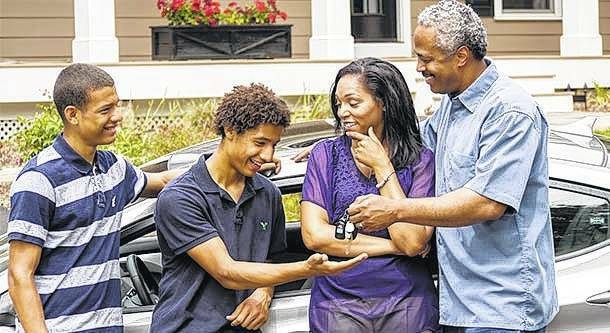 http://aimmedianetwork.com/wp-content/uploads/sites/38/2017/06/web1_Teens-Delay-Drivers-License.jpgPhoto courtesy newsroom.aaa.com Parents can play a big role in making certain their teen drivers are safe by: Have conversations with their teens early and often about distraction and speeding; teaching by example and minimize risky behavior when driving; and by making a parent-teen driving agreement that sets family rules for teen drivers. Established in 1947 by AAA, the AAA Foundation for Traffic Safety is a not-for-profit, publicly funded, 501(c)(3) charitable research and educational organization. The AAA Foundation’s mission is to prevent traffic deaths and injuries by conducting research into their causes and by educating the public about strategies to prevent crashes and reduce injuries when they do occur. This research is used to develop educational materials for drivers, pedestrians, bicyclists and other road users. Visit AAAFoundation.org.